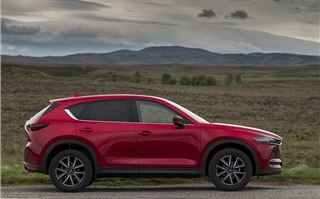 When Mazda first revealed the new CX-5, there was some debate in the office about whether it was actually all-new or just a facelift. In pictures it looks a lot like the outgoing car. But in person it’s clear to see that this is no nip and tuck. Sure, it’s not radical, but it takes everything that looked good about the old car and sharpens it up. That’s not just the case with the styling – it’s the same story throughout the whole car. The interior feels more upmarket, refinement is improved and the driving experience is more well-rounded. It’s all exactly as you’d hope if you’ve experienced the previous car - better in all the ways that matter. 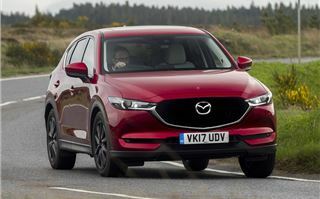 One thing that has stayed the same is the engine range, which is made up of a 2.2-litre diesel with either 150PS or 175PS and a 2.0-litre petrol with 165PS. Of these, surprisingly, the least powerful 150PS diesel is the best choice, since it's quiet on the go yet provides plenty of low-down torque, with 380Nm available from 1800rpm. It does sound a little gruff when cold, but when cruising along it’s very hushed. In fact, the CX-5 is extremely quiet overall, with barely any wind noise making its way into the cabin even at motorway speeds. In fact the only thing that's noticeable is a little bit of road noise when travelling on coarse tarmac. The suspension does sometimes thump over potholes and ridges in the road, however. That said, ride comfort is very good on the whole - and the handling is impressive. 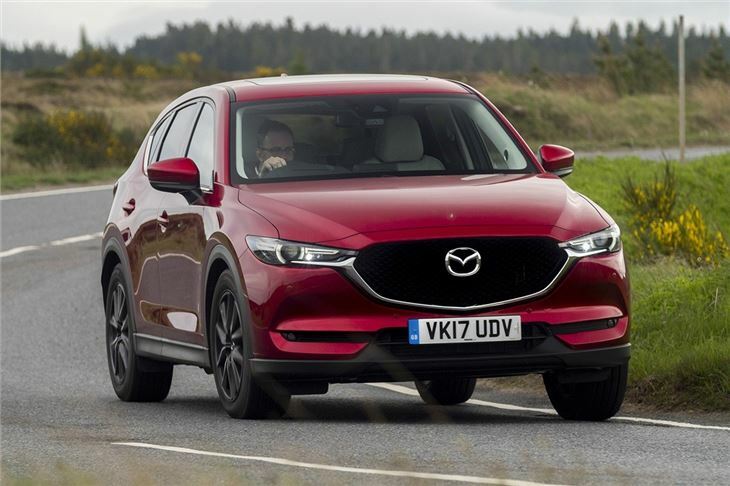 The CX-5 is probably the most enjoyable SUV of this size, with very precise and nicely weighted steering, a smooth gear change and good levels of grip. 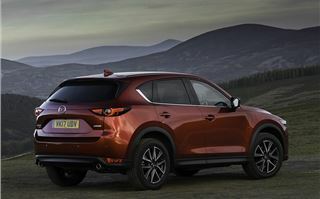 Compared to the likes of the Nissan X-Trail it’s a much better car to drive, even if you forgo the option of all-wheel drive. In fact, unless you live somewhere particularly remote where you need the reassurance of extra traction in bad weather, we’d recommend sticking with front-wheel drive version. With less weight to lug around, the this feels nimbler, with lighter steering and better feel. It's more rewarding to drive on a country road. 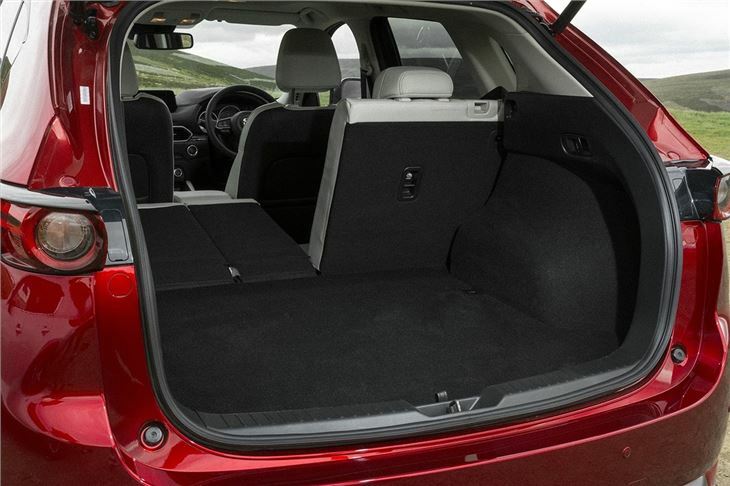 The boot capacity is plenty with 506 litres of space - around the same as a SEAT Ateca - with a wide, flat load area and no load lip, so getting things like pushchairs or shopping in and out is quite easy. 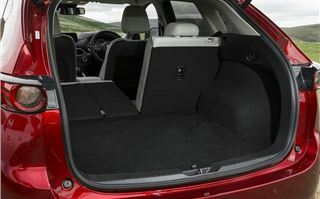 The rear seats split 40/20/40, which is useful for loading long items without impinging too much on rear seating space. 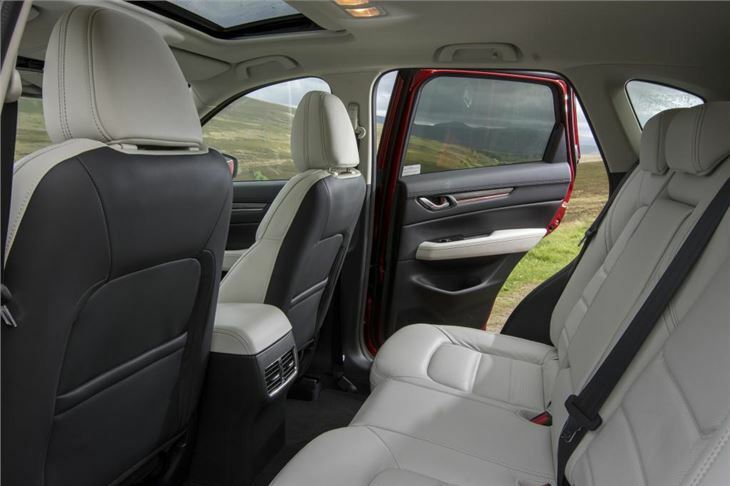 On the downside, the load deck itself is quite high simply because this is an SUV – ease of access is always better if you go for a traditional estate car. Build quality is really good, with no creaks or rattles. Most of the materials feel luxurious even in the lower spec car, but go for the top model and the leather really makes it feel premium. Optionally you can pick a grey-white leather upholstery which looks great, but will likely get dirty quite quickly so probably isn't a smart choice if you have kids. 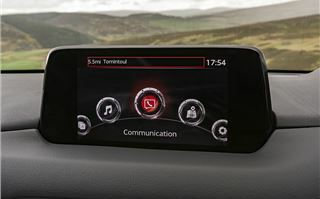 There are only two trim levels – SE-L Nav and Sport Nav. 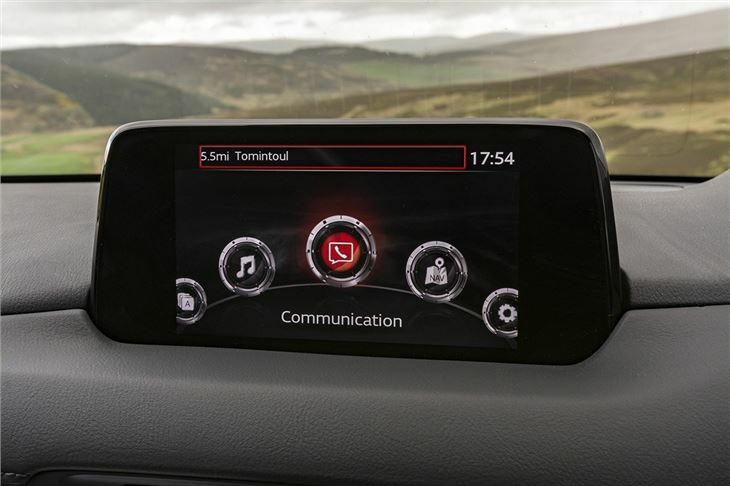 That means standard equipment is very generous, with dual-zone climate control, keyless start, front and rear parking sensors and an infotainment system with navigation all included as standard – the only thing we’d really like to see is Apple or Android smartphone compatibility. Sadly that simply isn’t available, even on the Sport Nav model. That said, the top trim level does feature some nice extras including Bose audio, a reversing camera, head-up display plus heated and electrically adjustable leather front seats. 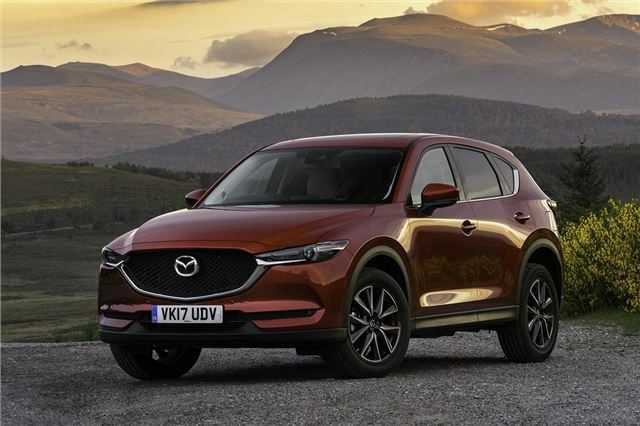 The CX-5 is a little bigger than the Nissan Qashqai and more similar in size to a SEAT Ateca. There's no seven seat option - if you want that you'll need something a little bigger like a Nissan X-Trail or Skoda Kodiaq. 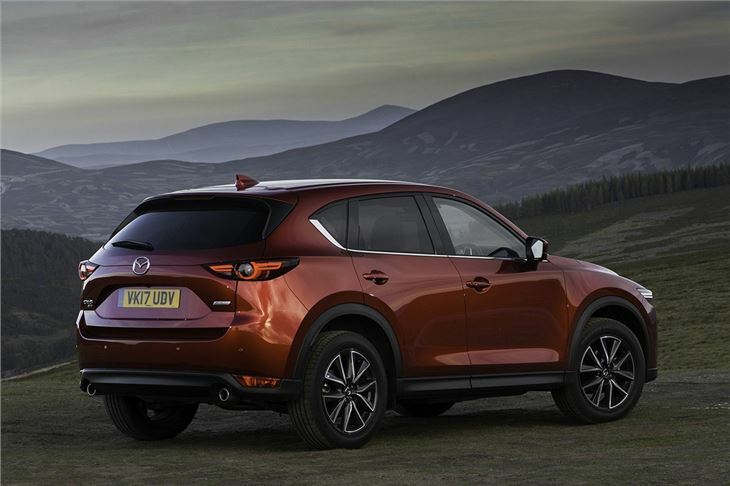 But there's little to find fault with the CX-5. It’s well-equipped, competitively priced, well-made and great to drive. So much like the old CX-5, only better.